Just before the 2017 Christmas holiday, a social worker at Winter Springs High School contacted a volunteer of IDignity Seminole to discuss the “immediate need” of a homeless senior. The senior turned out to be a 17-year-old female, who had been on the streets since age 13. The story got even more complicated, and the girl’s needs became more serious. Amber is a quiet, unassuming young woman who asks little and thoughtfully cares about others within her circle. The social worker asked if it would be possible for someone to meet with Amber and assist her in getting a Florida ID. She needed a photo ID to prove to a potential fast food employer that she “existed.” At the time of the phone call, there were no more IDignity events scheduled for Seminole or Orange Counties in 2017. After doing an Intake interview, identifying that Amber had been born in Florida, and that all of her documents had been stolen from her, during her time on the streets, she was taken to a Seminole County Tax Collector’s office, and a new Florida ID was printed out. Amber turned 18 shortly after the New Year began. She no longer needed an adult (in this case, her stepmother – the only parent figure, who wasn’t in prison) to sign for things. 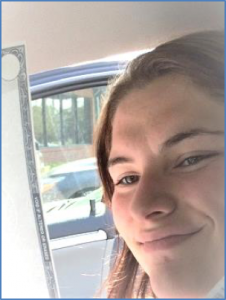 Another trip was made to the Tax Collector’s office in late February, and IDignity helped her obtain an official copy of her Florida birth certificate. During discussions, Amber revealed that she wants to become a “welder” – specifically, an underwater welder. A variety of respected sources were pursued, including talking with a recruiter from the U.S. Navy—known for having outstanding training in this area. At the interview in Sanford, the Petty Officer, who met with Amber, was most encouraging and provided her with a pre-enlistment test on the spot. She nailed the pre-test and plans to talk further with the Navy – after she takes a peek at the Air Force. It says a lot about a person, like Amber, when she has been able to maintain an above-average GPA, work largely in an independent study environment, while being homeless. Due to her hard work, she will graduate ahead of her class. 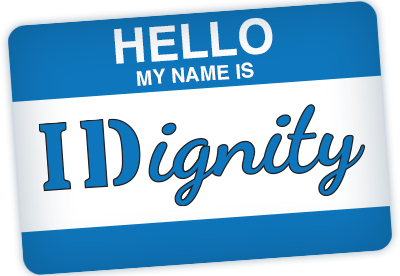 She is an example of an individual for whom IDignity was created, and a person, who truly appreciates the hope IDignity provides. This entry was posted in Client Stories. Bookmark the permalink.